Head of Iranian Space Agency (ISA) Morteza Berari said on Oct. 1 that domestically-made satellites Payam-e Amirkabir, Dousti, and Nahid-1 have been completely built and are ready to be launched, IRNA reported. Morteza Berari in a press conference on the occasion of World Space Week (October 4-10) expressed hope that the satellites will be placed into earth’s orbit by the end of current Iranian year (March 20). Iranian Deputy Minister of Communications said Iran is the first country in the Middle East and the ninth in the world to achieve complete space supply chain. “Payam-e Amirkabir will be placed into the orbit 500 kilometers above the earth’s surface and its data will be used for developing programs,” he added. Nahid 1 is the first Iranian satellite made specifically for communication purposes, which is designed and built by Iran Space Research Center. 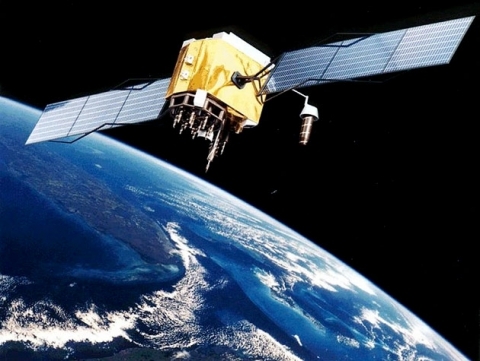 Payam-e Amirkabir Satellite is designed and developed by Tehran’s Amirkabir University of Technology and is planned to carry out imagery mission in Low Earth Orbit (LEO). Barari added that Zafar satellite will be built by the end of current Iranian year and will be placed in the queue to be launched then. The ISA has planned to build imagery satellites with one-meter-precision by the end of current Iran’s 20-year National Vision program on 2025. Elsewhere in his remarks, he pointed to developing space startups, increasing Iran’s space budget, establishing Supreme Space Council and space technologies internet TV as the main programs of ISA in the future. It has also intended to transfer operational activities of building satellites to private sector and to mainly focus on providing them with space infrastructures. Each year, the World Space Week (October 4-10) marks two of the most prominent events in space history.